Delicious lamb marinated in a "secret sauce" - which remains unchanged since the restaurant was established in 1956 - made from fruit juice and over a dozen types of seasoning. This addictive meat will surely renew your image of jingisukan. 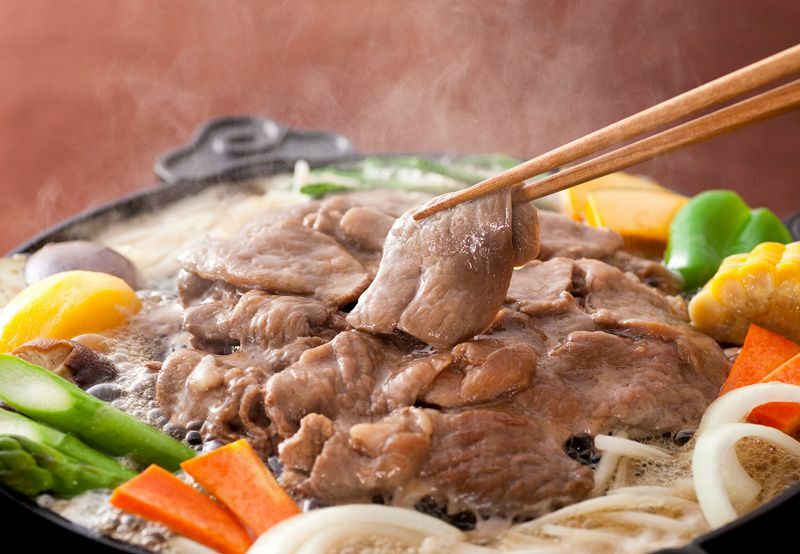 Enjoy Matsuo Jingisukan's most prominent feature, "grilling the meat and boiling the veg" on a special hotplate.